The Green and White Hoops. The Black and Blue Stripes. Tonight promises to be a bit special. 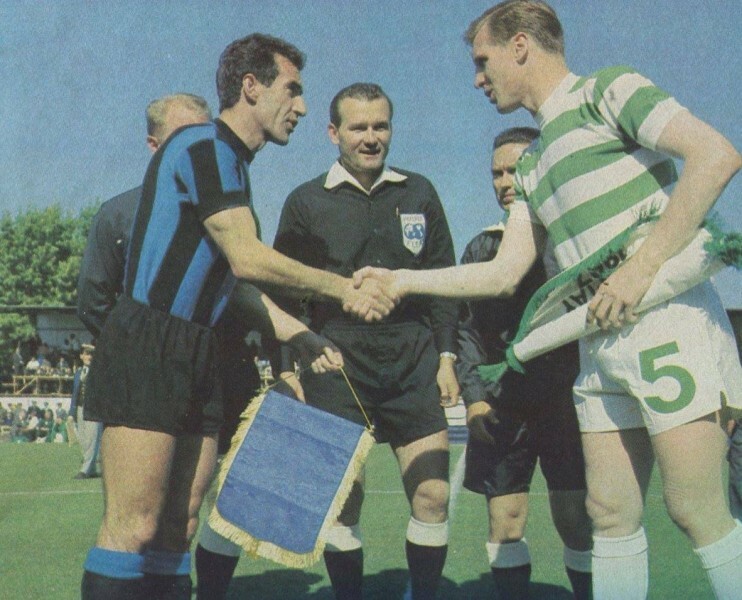 For a club which features so prominently in the history of Celtic, it is a little surprising that we have only played Internazionale of Milan on three occasions. That those games were two European Cup semi-finals and a European Cup final only five years apart illustrates just how long ago it has been (and how much has changed) since the two sides have met. It is not the European Cup and it is not a semi-final. But Celtic Park will be jam-packed to capacity, the noise will be deafening at times and the Lisbon Lions will be making an appearance before kick-off: it promises to be a truly memorable night in Paradise. 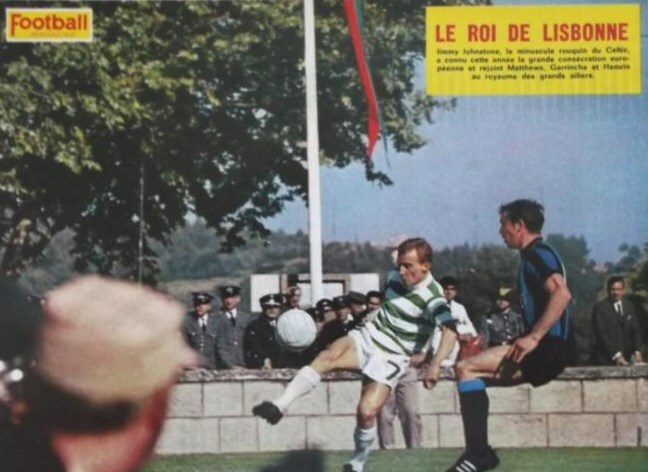 We may not have a player such as Jimmy Johnstone who was good enough to earn the title ‘The King of Lisbon’ back in 1967 but we have a committed and stylish team of players under Ronnie Deila who have played some excellent football of late. We all know that Inter are a significant step-up, in every sense. Over two legs especially, not many will fancy us to run out victors. But we know it’s possible, the players know it’s possible. The Manager clearly believes it to be so. My heart is racing just at the thought of it – and the possibility of a Ronny Roar at the game’s close. A Bhoy can dream. The Nerazzuri are finally returning to Celtic Park. For the majority of Celtic fans present it will be the first time they’ve seen the famous black and blue jersey in action. Inter left the last time (1972) celebrating victory on penalties (both semi-final ties ending nil-nil)but they are at heart a club whose defeat to Jock Stein’s men in the heat of Lisbon shook them to the core. They have never quite recovered from the blow. More importantly, they are a club who know exactly what Celtic are capable of. Patience will be the key for our support as Ronny Deila tries to chart a path to victory – which will hopefully stand us in good stead the following week in Italy. It would be a true sensation if we overcome Inter and progress into the next round. Don’t hold back Bhoys and Ghirls. This is one night when we need to be heard. The feelgood factor has returned to our club and support of late as the team have gone on a tremendous winning run. Lullabies, battle cries, songs of hope and joy – air them loud and proud all around Celtic Park. Soak up that atmosphere. Amen to that – and get Inter them! !